You don’t have to go Marie Kondo on your messy hard drive to stay productive. I mean, you can if you want to. It does feel great to be organized. But the idea of going file by file through my computer — I’d rather do other (more productive) things. Digital clutter does bother me, however. 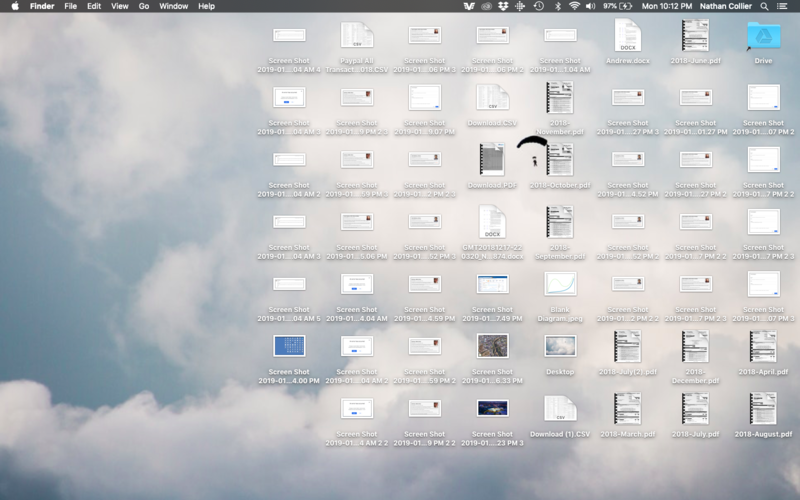 But… see that Google Drive folder in the upper right corner? That’s my brainless method for rapidly clearing clutter and keeping my hard drive clean. Ah… That’s liberating right there. It clears my mind and I just feel more productive. To accomplish that nice clean desktop, I simply dragged all the files into that Google Drive folder. Because… I don’t have to. Instead, I use cloud storage services (Google Drive, Dropbox, etc) to keep my files in a place where they’re easily available — but off my hard drive. Here’s what you need to keep your computer free of clutter. It works on both Mac and PC. It takes less than a minute any time your hard drive starts to feel cluttered. When my hard drive fills with random files, I dump them in the “Drive” folder that’s synced to my Mac. The “Archive” folder is not synced to my computer, so the files are automatically deleted from the “Drive” folder on my hard drive. Just like that, I tidy my messy hard drive without having to go file by file trying to organize things. If I need one of those files, I can just go to Drive through the browser and download it. Even better, if I need to send a file (which happens a lot in my work), I just use Share and Attach Files in Gmail, which lets me grab files directly from Drive (or any cloud storage). For that reason, I don’t have download files, then re-upload them Gmail, which used to be a prime contributor to desktop clutter. What If I Run Out of Cloud Storage? Google now has a $1.99 per month plan for 100 GB, which is a steal compared to what we all used to pay. But for me, that $9.99 per month fee for 1 TB of storage (available from either Google or Dropbox) is worth every penny. It gives me all the space I need — including a series of videos and media I have stored in my archive. And I no longer worry about whether or not I should keep a file on hand. When I do (someday) hit the 1 TB cap, I’ll use the 80/20 rule to delete the biggest files, just like I did when I kept everything on my hard drive. But I have a long way to go before I hit those numbers. My favorite hacks are the ones that help me stay productive — without requiring extra work. My days are crazy enough without having to go file by file through my hard drive trying to decide what to delete to free up space. 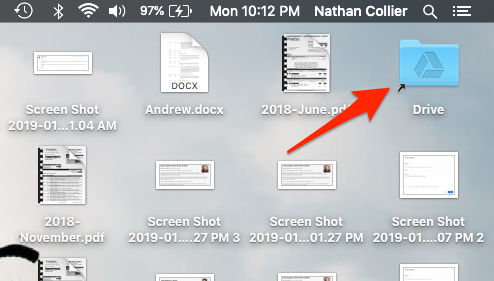 Today, I don’t worry about running out of space on my hard drive (which used to be a big problem when I recorded interviews for some of my writing work). 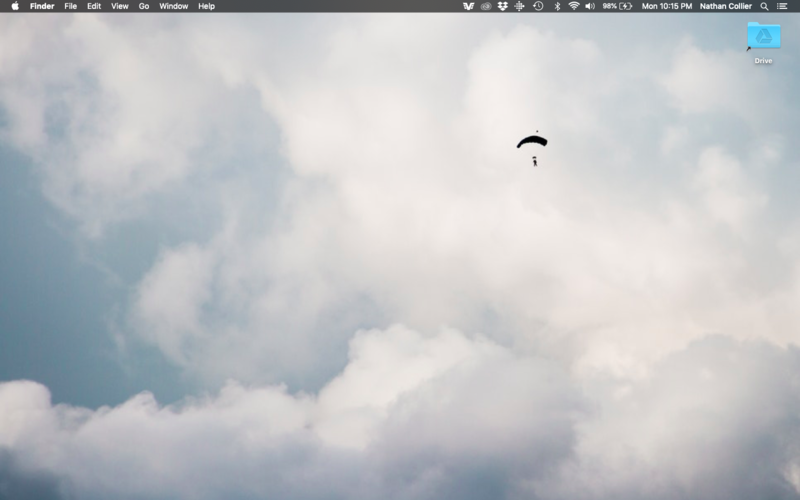 My desktop and download stay folders clean and clutter-free. And any time I need to send a file by email, it’s easy to find.